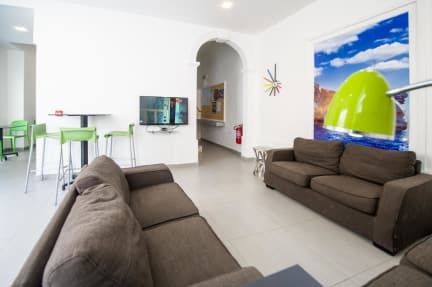 Hostel 94 i Sliema, Malta: Bestill nå! An charming town house recently converted offering great comfort and style . Dorms of 2, 5 or 9 beds all having en suite showers. Lockable storage, reading light and charging facilities with each bed. Fans in all rooms and air conditioning is an extra. Living area with cable TV, kitchen and dining area for sole use of the guests. Free Wi-Fi throughout. Roof terrace for sunbathing and relaxation. Suitable for families with children Lift to all floors as from 30st August. All dorms have en suite shower rooms. All beds have a reading light and locker. All rooms have fans air conditioning is an extra. Rooms are cleaned daily. 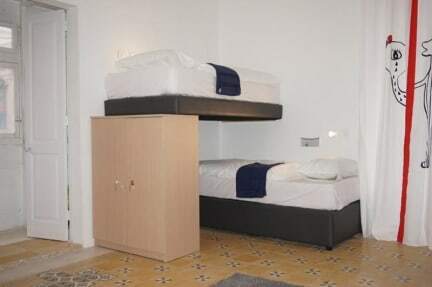 Hostel 94 is located 50 meters off the Sliema seafront and beaches. Close to Malta's favorite restaurants and night spots. Within walking distance from Malta's top night spot offering bars restaurants and night clubs . A short walk to the Sliema shopping centre . Top residential area Central and Very quite and central location. Check in from 12:00. All arrivals after 13:00 have to inform us by email or sms so as to send arrival details. Eco tax of 0.50 Euros per person/day( up to a maximum of 10 nights- 5 euros) is not included and has to be paid to the property upon arrival. Roof Garden open till 23:00.